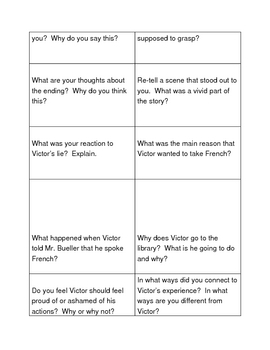 Use these cards to as a fun way to check students comprehension of the short story Seventh Grade by Gary Soto. 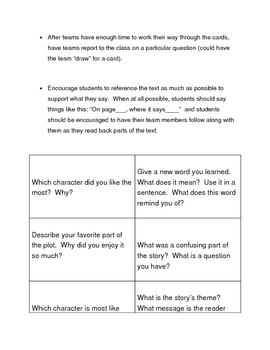 You could copy all questions for students to answer on paper as a traditional post-reading exercise, or you could put students in teams, give each team a pack of cards, and have them take turns drawing a card and answering the questions. 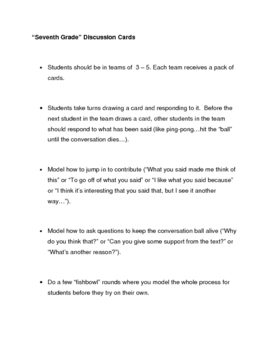 Then, have teams report back to the class. 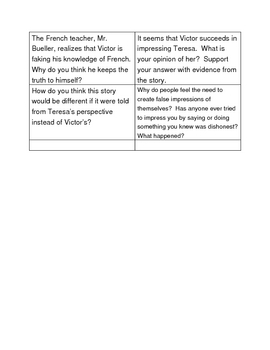 This document is also available in the Seventh Grade All-in-One DEAL.